At TEC C&D we are ready to take on any remodel, plumbing or new construction job. Whether you want to replace your water heater, redo your plumbing, remodel your kitchen, your bathroom or redo the whole home, we can do it for you. We work in a personable manner, paying attention to your wants and needs, TEC Plumbing and Construction is owned and managed by Dawn and Bill Burke, who are your project managers for the duration of the project you entrust to us. Together we have over 25 years of experience in plumbing, interior design, new construction and remodeling. Bill Burke, my husband, was a licensed plumber in New Jersey when I met him, while I had my own Interior Design Business. I was always interested in the structural part of design and when Bill and I met we merged our expertise and experience and we´ve been working together for 15 years, the last 9 of them in Naples, Florida and surroundings. Both Bill and I are passionate about our respective fields. Our businesses and us as professionals are state licensed and insured. In addition to that I´m a Certified Green Professional and Bill is also an Energy Rater. This means that besides doing the job you need done, such as replacing fixtures, retiling or fixing mold, to name a few, when you paint or remodel we can also do it using eco-friendly materials. Bill is able to assess the plans of your home and make sure they are energy-efficient and improve on them if they are not. In our family of five, we have been faced by financial and health challenges just like a lot of our clients and we are all about simplification. We do this at home and at work, and we help you optimize your budget and our resources to do the best job. You are the client and whereas we always suggest what we think and know is best, we respect your final decisions. We know our clients on a first-name basis because we are the owners and the best way to deliver what you want and need is by listening to you. Times are tight, but keep in mind that when you hire a general contractor to do your remodel job, whether it is replacing drywall, retiling or fixing a leak, we are licensed and insured and we take on the liability. This means that you don´t have to worry about anything other than giving us a call and waiting for your repair or other job to be done. There is nothing worse than redoing your kitchen but failing to have the proper person to do your plumbing and then losing all the cabinets to a flood due to poor workmanship that is not warranted. Down the road, we save you time, energy and effort. We are proud of the results our clients enjoy and we want to do the same for you. In our website you will see photos of our work and you are also welcome to come in to our offices and see more samples. 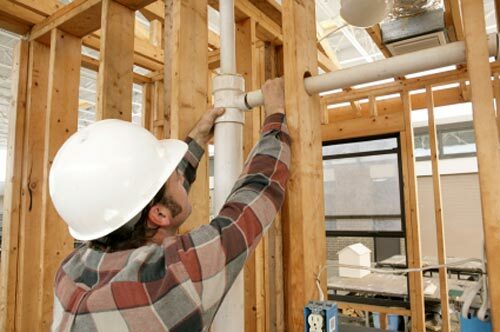 In the following pages you will be able to find information on the most important aspects of plumbing, construction and remodeling. We want our clients to be informed and knowledgeable on the services we offer. If you want to know anything else that is not here, please give us a call or write to us!